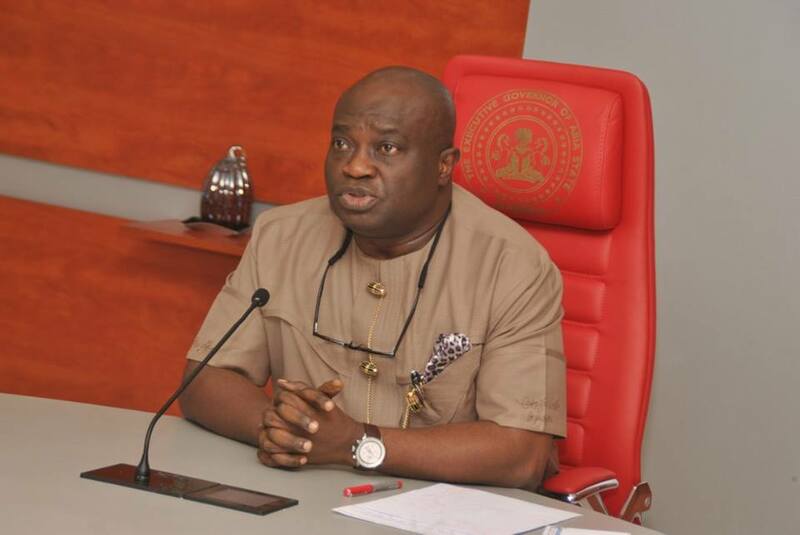 A Federal High Court in Abuja will today (Friday) hear and rule on the application ‎filed by the embattled Governor of Abia State, Okezie Ikpeazu, seeking a stay of execution of the judgment of the court which removed him from office on June 27. The hearing, our correspondent learnt, will take place before Justice Okon Abang by 11am today. Already a large detachment of regular and riot policemen has surrounded the court premises to maintain a peaceful atmosphere during the proceedings. It was learnt that the judge decided to hear and rule on Ikpeazu’s application today because it is the last official working day before the court begins its annual vacation next Monday. The judge had earlier on July 4, fixed Thursday (yesterday) for the hearing of the application but the court could not sit due to the extension of the eid-el-fitri holiday announced by the Federal Government on Tuesday. It was learnt this morning that the judge‎ directed its registrars to contact lawyers to the parties in the suit to appear in court for the hearing by 11am today. Justice Abang had in his judgment delivered on June 27, sacked Ikpeazu for allegedly disclosing false information in relation to his tax clearance details to the Independent National Electoral Commission in his form nominating him as the candidate of the Peoples Democratic Party for the last year’s governorship election in the state. The judge, also in the said judgment, ordered the governor’s rival who was the first runner-up in the primary that produced Ikpeazu as the candidate of the PDP, Mr. Uche Ogah, to takeover. The judge held that Ikpeazu was not qualified to be PDP’s candidate having disclosed false information to INEC in violation of his party’s election guidelines and the Electoral Act and thereby ordered that Ogah be sworn in as governor in Ikpeazu’s stead. A few hours after INEC presented the Certificate of Return to Ogah on Thursday in Abuja, an Abia State High Court in Osisioma issued an order, stopping the state Chief Judge or any other judge from swearing-in Ogah, the governor-elect. Shortly after Ikpeazu’s motion for stay of execution was mentioned earlier on Monday, his lawyer, Chief Wole Olanipekun (SAN) asked for an adjournment of the case till Thursday to enable his team to complete the filing of its reaction to Ogah’s counter-affidavit filed in opposition to the motion. But, Ogah’s lawyer, Dr. Alex Izinyon (SAN), urged the court to shun the request for an adjournment, set aside the order of the Abia State High Court in Osisioma restraining the Chief Judge of the state from swearing in Ogah as governor, and reiterate the judgment of the court. Izinyon argued that going ahead to obtain such an order from the Abia High Court without bringing the order to the attention to Justice Abang on Monday, Ikpeazu had resorted to self-help. 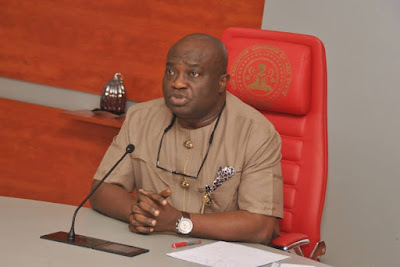 Izinyon asked the court to set aside the Abia State High Court’s order and reiterate the judgment since Ikpeazu’s motion for stay of execution had allegedly achieved essentially what the motion intended to achieve. In his counter-submission, Olanipekun urged the court to quash the enrolled order which it issued on the strength of the judgment, arguing that it ought not to have been issued without the parties being given a time lag to exhaust their rights of appeal. But in his ruling, Justice Abang refused to set aside the enrolled court order, saying section 19 of the Sheriff and Civil Processes Act, relied on by Olanipekun did not define processes to include the enrolled court order. Describing Olanipekun’s application as for the voiding of the court’s enrolled order as lacking in merit, Justice Abang said the court had the power to enroll its order at any time after judgment had been delivered. But the judge said in his ruling on Monday, that he would after the hearing of the application for stay of execution, determine whether he could set aside the order made by the Abia State High Court. He also said he would determine whether he could void the certificate of return issued to Ogah and whether the provisions of section 143(1) of the Electoral Act applied to the judgment of his court in a pre-election case.